Recently, Princeton University released the list of its top 25 most influential alumni of 2017. The Tab reached out to one of the alumni, Dr. Eric Lander, a mathematician, geneticist, and molecular biologist. Lander played a pioneering role in the development of the Human Genome Project and in the field of genetics. 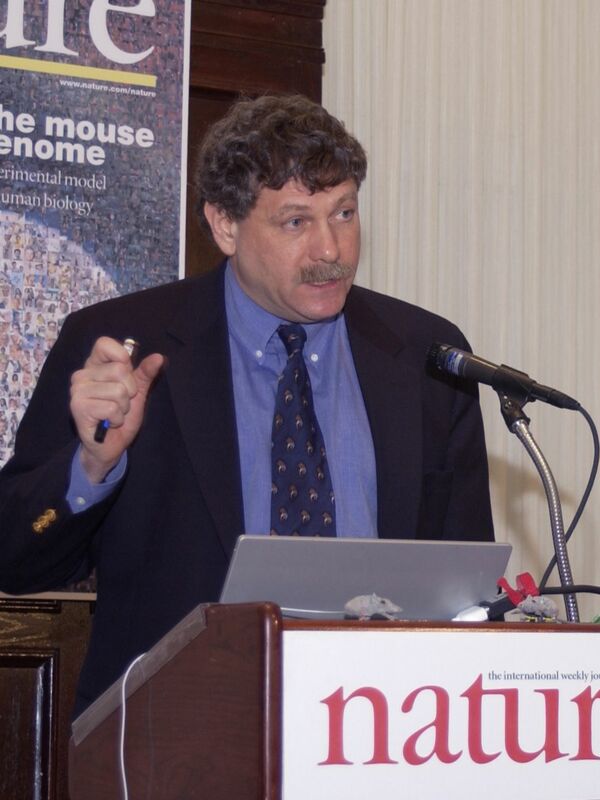 He is currently a biology professor at the Massachusetts Institute of Technology, as well as the president and founding director of the Broad Institute of MIT and Harvard. A native of Brooklyn, NY, Lander’s passion for mathematics and the sciences began as early as high school. During his years at Stuyvesant High School, Lander was the captain of the math team. Later, he was an International Mathematical Olympiad Silver Medalist for the U.S. He continued to pursue mathematics at Princeton University, where he earned a B.A. in mathematics. During his senior year at Princeton, Lander was awarded the Pyne Honor Prize, which is the highest distinction conferred upon an undergraduate. From 1978-1981, Lander attended Oxford University as a Rhodes Scholar and earned his PhD in mathematics. We spoke with Dr. Lander about his time at Princeton, his career, and the accomplishments that put him among the top 25 Princetonians of 2017. How did Princeton education prepare you for the take off of your career? Through its enormous breadth; during my time as an undergraduate at Princeton I studied pure mathematics, but I also learned so many other things. I took courses in politics, music, constitutional law; there’s just such a wide variety of opportunities at Princeton and I think the breadth of an undergraduate liberal arts education is a very powerful thing. I absolutely felt that I could take advantage of all Princeton had to offer and expand past my mathematics major. Did you anticipate your transition from mathematics to genetics? Why did you decide to bring the focus of your career to genetics? I never anticipated my transition from mathematics to genetics. It was very random. After getting my PhD I decided I didn’t want to pursue pure mathematics as a career. Instead, I became a member of the Harvard Business School Faculty where I served as an assistant and associate professor for a number of years, but I decided business wasn’t really my passion either. Instead, I became interested in biology. It took quite a while for me to find my passion. The biology I took an interest in involved the Human Genome Project but it also ended up incorporating all the math, science, and business I’ve learned over the years. What do you consider as your most satisfying contribution(s) to science, or your most significant discovery? I think its the Human Genome Project in addition to the development of ways to find the roots of human diseases. What motivated me to pursue the Human Genome Project was the ability to map the underlying reasons for human diseases. The Human Genome Project was one I had to partake in, in order to be able to accomplish that. In your opinion, what are some of the opportunities where genetics and genomics will be able to help people in the next decade? I think the future of genetics is all about understanding the underlying mechanisms that cause diseases. Only by understanding these mechanisms can we ever hope to really cure them. Trying to cure things without knowing what is wrong is only occasionally successful, whereas actually knowing the true causes is very powerful. Even so, the progress that the field of genetics is making is much faster than I ever expected. How well do you think Princeton prepares its students for careers in biology and biomedical research? The biology at Princeton is first rate and the breadth of the undergraduate education remains a tremendous strength. If you’re preparing for the future you can’t just be learning what we know today, but you have to be prepared for all the things we don’t know which means you need a really broad education. Princeton does a superb job at providing its students with such an education. What would you say to Princeton students who are interested in science careers? There’s never been a better time in history. The tools we have are extraordinary and the opportunities are just amazing.